Apart from logistics wind safety.. yarda yarda.. So, what would you do / have you done in your neck of the woods? You would want to have a good crew and safety equipment, pfd and PLB, mobile phone in waterproof case, possibly flares as well. It would also be a good idea to log in your journey plan with the local sea rescue group. For a distance of 25k's you could expect around an hour crossing each way if you're going pretty steady. The winner of the last lighthouse to Leighton did the distance of approximately 18km in 18 minutes so 25k's in an hour for your average punter seems realistic. 25k's in one hour would mean a speed of 13.88 knots so you would probably be faster than that. You'd definitely want a good and consistent forecast!! I have a dream to foil from Kawana around old woman island and back. Don't need to venture too far from land, although I'd probably think about an arm strap PLB and then I'd probably be confident to do it alone. My foiling skills need to improve a lot first! Definitely doable, but there is wind shadow close to Moreton if the wind has any east in it so our predominantly SE-NE winds are crap. You could do it in a direct southerly I guess, and straight northerlies are like rocking horse ****. A race foil will do 35-40 kph with average foiler riding it so it won't take long. A few of us have talked about this run before, but the logistics of chase boats etc on a particular day when a southerly is blowing make it difficult. You could just go when conditions are favourable, have an epirb, pfd, phone etc. The coast guard is really good here so you would get picked up if things turned bad but it would be reckless and I wouldn't recommend it. We foil from Queens Beach on the peninsula, and have done runs up and down the coast there. Plenty of beaches to come in to if the wind drops and quite a few crew getting into foiling now. We have been doing "coast" runs since the beginning of kiteboarding. When I say "coast" I mean Port Phillip Bay so not usually open ocean. We run 4-5 km up the coast then run downwind back again visiting the various wave spots. Since we've been riding foils the upwind run has extended to 10-15km out then return. Most of it is only a few 100m from the beach so relatively low risk. My intention is to do 30km out run. It wouldn't be hard and there's no real reason I haven't done it. The return instinct tends to kick in around the 10km mark. The beauty of the foil us the upwind run is so quick and the wind range is huge. A 7 or 10m kite will get you going upwind in 15 knots or so and you can ride happily in 25+ as the sea breeze builds. Some guy recently did a 200km kite foiling run in NZ I think. Chase boat and video and all the stuff. As for versatility, kite foiling has to be the most fun, most versatile water craft ever. A mid-size surf oriented foil (about 100 sq.cm), almost any board of your choice and a mid-size kite (7m surf kite is my most used kite) and you can ride anything from glass smooth to head high waves. It's awesome. Yeah that reckless bit - I get bonus points for being over the hill these days if I am in a team event!! I did a charity kiting gig last year over to Fraser island - so an official event the guy organising it had to go over board to pull it off - it was g8 but not spontaneous.. I would go with a jet-ski, bouyant board and possibly an EPIRB - but happy having phone tracking etc Gorgo mentioned. The SUP foilers are posting similar. so the more average bloke (=good, but not super athelete) doing downwinders in powered conditions - really inspiring. 25km is easy and you probably do a good 40km on an average session. Other than advice given above heres some more to think of. Do you get back leg burn? this is the main difference from zippong back and forward to one tack for a long time. Make sure your set up gives minimal burn. If conditions are intense, foiling is harder to do! you need to be more alert and balance your weight perfectly. Be deep enough to not vent. Once you start getting fatigued crashing occurs sooner than surface boards. 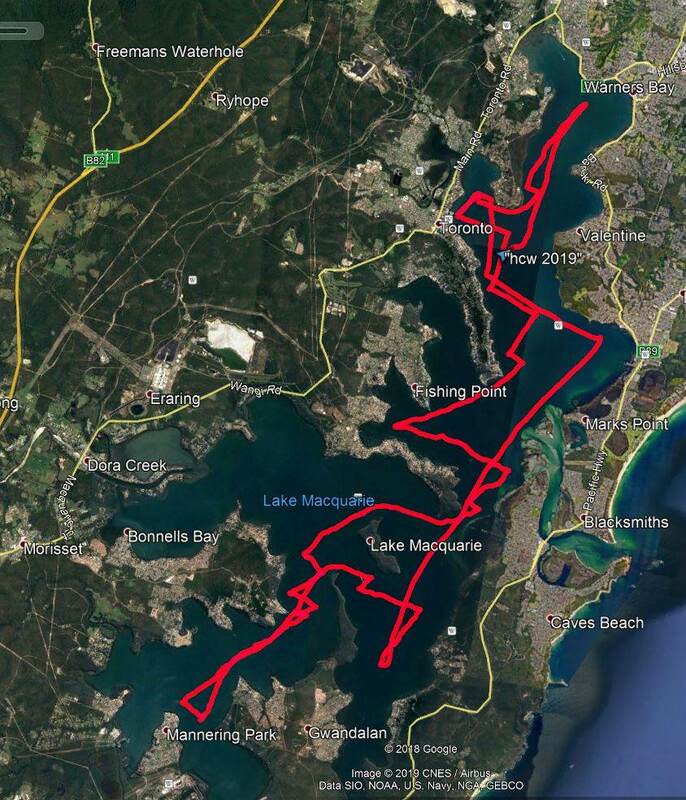 I've done a couple of 45km downwinders in 25-30 knots with short/sharp period swells. It was real hardwork on the foil. I was burnt out by the 25km mark. But those conditions were intense on normal boards and very hard on a foil. If its easy conditions foiling will be a doodle. One positive on the foil is you can handle a wider wind range and certainly keep going in lulls much lower than what a surface board can. Yes def a touring machine and 25k Easiliy doable with planning, but the open water does add another element, I have been 10km offshore and it's very lonely out there by yourself. Along with the other safety items above, choosing a kite will also be a big consideration The kite size you choose in the morning has to last you all day If the wind picks up and you have a big kite you gunna be going downwind! But if the wind drops you could be swiming. To minimise the risk, Summer time when lots of other boats on the water would be good, but when it is windy they dissapear but at least with a foil board you can still go when its not that windy.